Please view the dimension (measurement) Image to know the actual size of the pendant. Images are enlarged to show the clear visibility of the design. If you have any questions about this product by La Joya, contact us by completing and submitting the form below. If you are looking for a specif part number, please include it with your message. 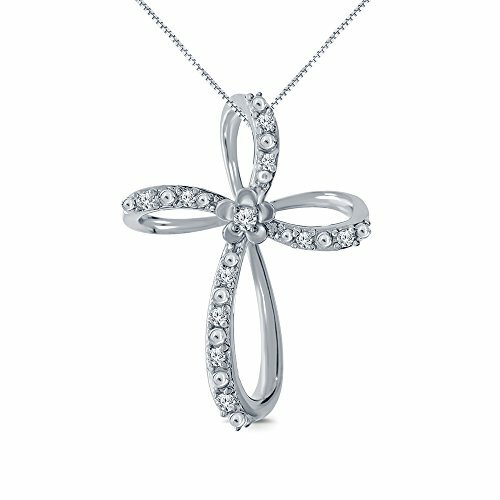 High Polished 14K White Gold Plain Slender Cross Pendant with Chain Necklace, 16"